Ever since Donald Trump was elected President of the United States, I have felt the need to lose myself in nature. The very nature that he and his avaricious band of swamp dwellers would love to drill, pump, and mine into oblivion for their own financial gain. 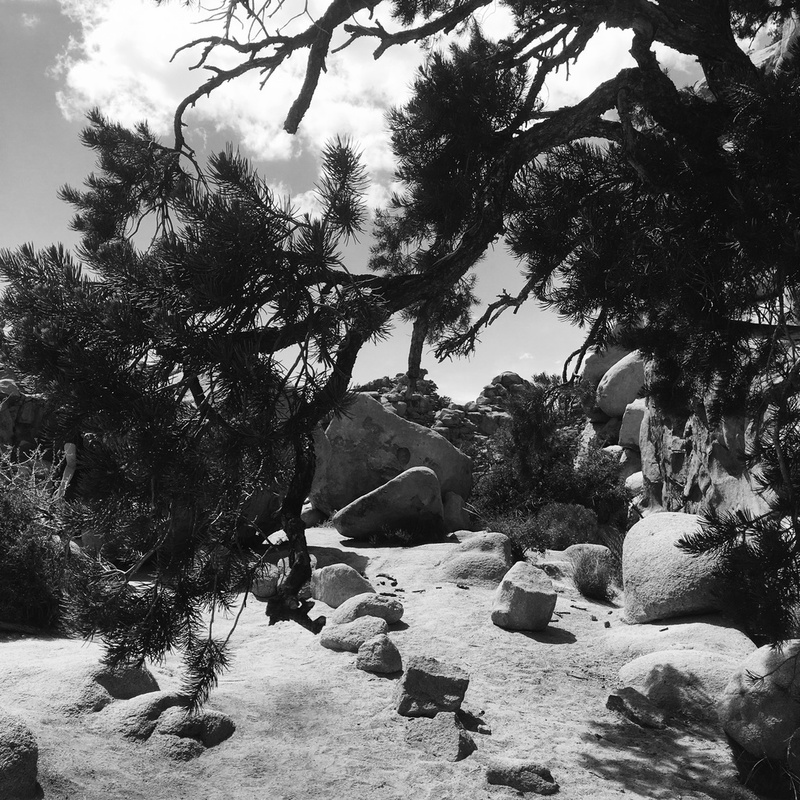 I grew up in our National Forests, in every park and campground on the West Coast and throughout the Pacific Northwest—where my mother’s family had homesteaded after making a trip via wagon train from Iowa to Washington—and the mysterious Southwest that I learned to love through experience and John Ford films. Dusty paths through deep scented woods, bear sightings, scampering chipmunks, the delicious silence of wide-open spaces, these were my companions. 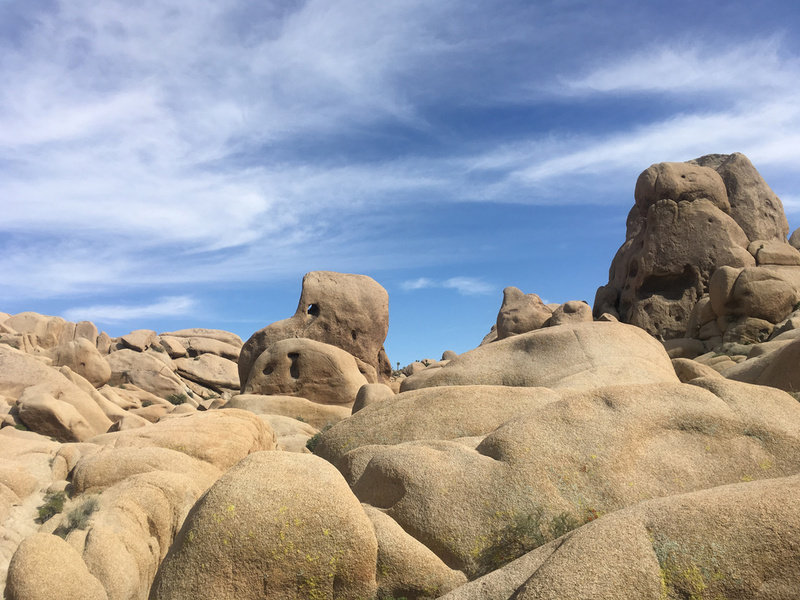 Having reached a landmark birthday, the gift I most wanted was to drive into the great Mojave Desert and see the twisted Joshua trees and stunning quartz monzonite boulders that make you feel as if you have entered a world described by Edgar Rice Burroughs in a Maid of Mars fantasy. Some people don’t relate to the desert. They think of sand, and sun, of too much hungry brightness on the horizon. I think of the colors at dusk sliding down the sides of rock-strewn mountains, of crisp air through which you can see to an amazing distance. A shawl of stars gathered about the night, constellations blinking down onto the cooling sand. The thick tough blooms of desert flowers, facing the sun upon a spiky cross. We started going to the desert when I was a little girl. 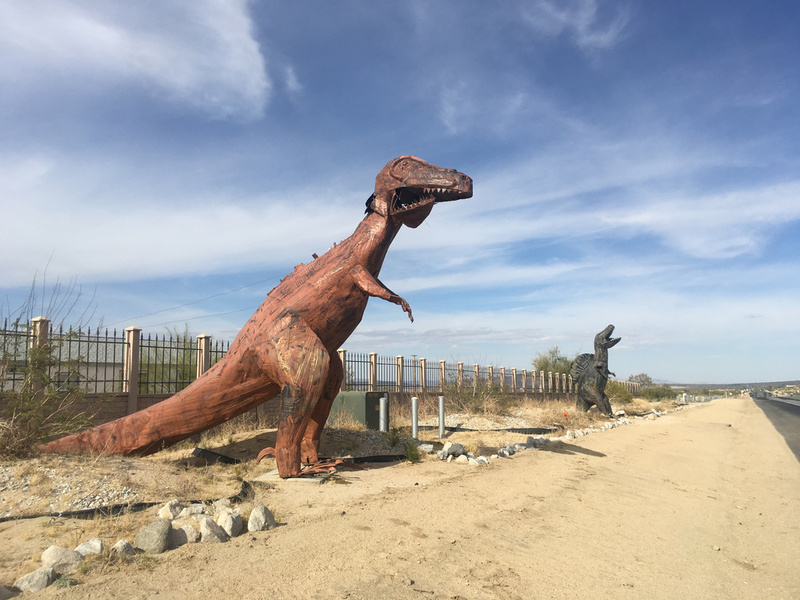 We’d drive down from San Diego, in the white Ford station wagon, to Anza Borrego—a vast Southeastern California desert ringed by mountains, with an oasis at its heart. My parents had a trailer, medium-size, white with turquoise trim. It was an Oasis, by brand name, with a green palm tree as its logo. 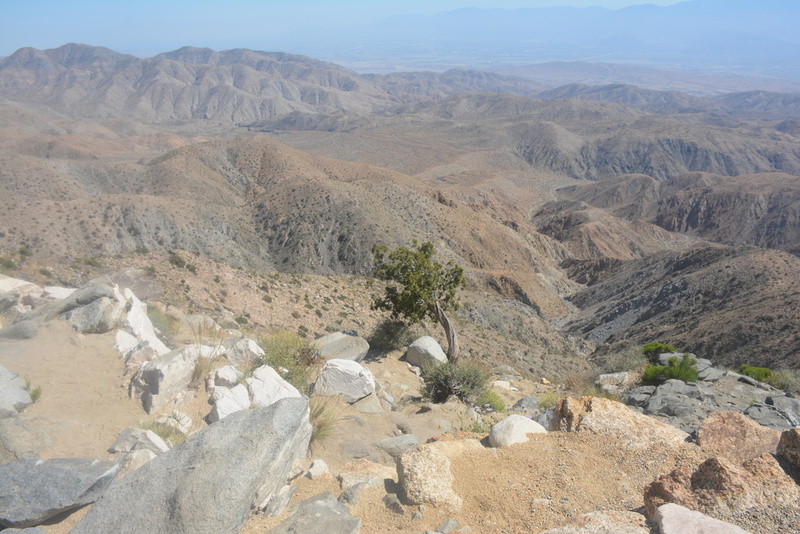 We’d take Grandpa Cliff down to Borrego in the late fall, when the desert was resting a bit from its own heat. Grandpa, whom my parents called Pop, lived at my uncle’s ranch in Prosser, Washington, most of the year, but when it got cold in eastern Washington, some winters he’d come south to visit us. 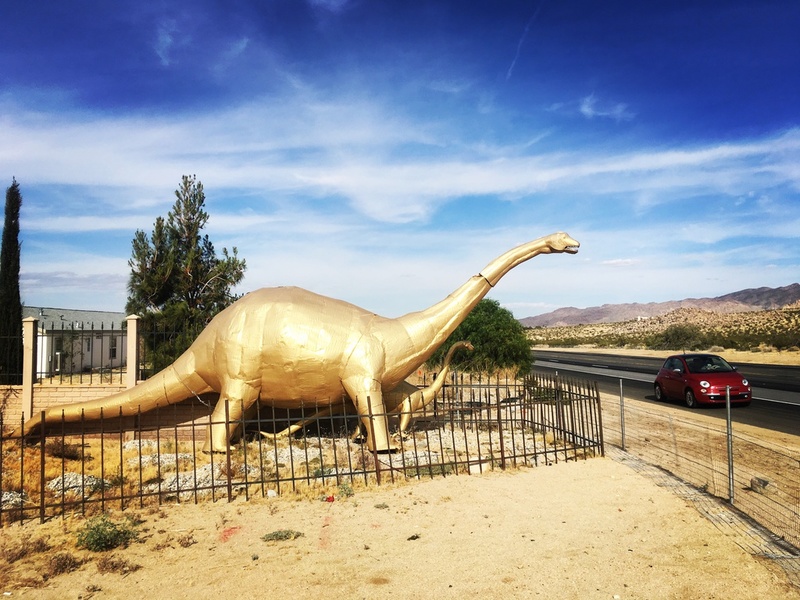 The dry desert heat warmed his arthritic bones, his once-tall frame painfully stooped by the disease, shoulders hunched forward, long arms hanging down. He had been a Forest Ranger, working deep inside Oregon’s and Washington’s lush pre-war forests, often requesting the fire watch assignment, living above the trees in a wooden tower, alone, scanning the horizon for anything unnatural. 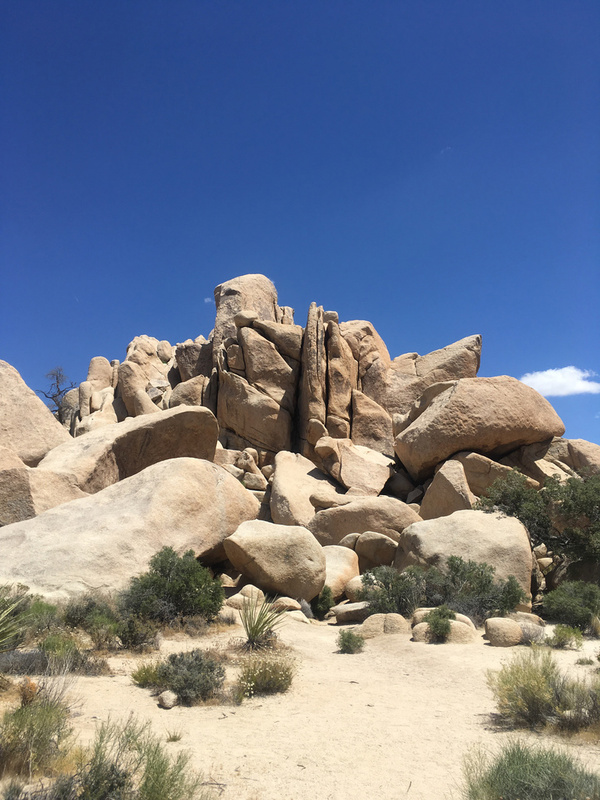 Pop liked the desert, he enjoyed sitting in one of those aluminum chairs with web seats, whittling and carving chains out of sticks of soft pine. He liked the desert's solitude, I think. The peace of watching the light change on the sand and the sunset over the distant ring of hills. The star spattered sky at night, so broad the horizon seemed to stretch forever. I loved the open space studded by rocky outcroppings perfect to hide in and to build forts out of; the way the flat bright light seemed to fill the universe; furtive lizards scrabbling among the rocks; the way the mica in the sand would stick to my legs; the cool stream in the middle of the oasis with its exotic palm forest; the shadows buzzards cast as they circled lazily overhead, keen eyes searching for death. 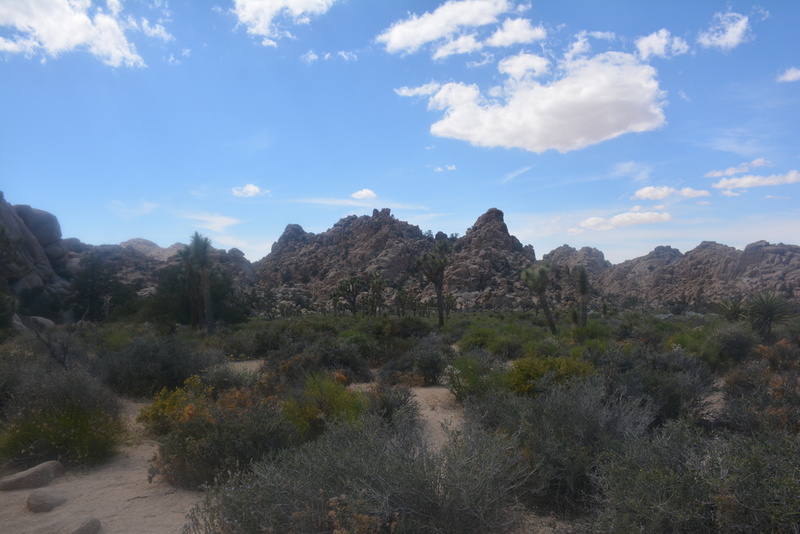 I was an only child, living in an adult world; to me the desert was a mysterious place full of small, wonderful, possibly dangerous things that took a little time and effort to discover. You never knew when you might see a snake, manage to catch a horned toad or witness cactus in glorious bloom. In the evenings my mom would set dinner at the Formica table in the trailer. By pressing on its telescopic leg, it would fold flat against the wall where it could be fastened when driving. I can’t remember specific dinners, but I’m sure we had white bread, iced tea, meat, and we always had potatoes; my grandfather loved potatoes, especially with gravy on them. Maybe Jell-O for dessert, or homemade cookies. Mom made the best ginger cookies in the world. And lots of coffee for the grown-ups, the percolator was always on. Mom would have carefully packed the boxes of groceries, ticking items off her list. Dad was responsible for all the gear, and the car, of course. Dad loved the desert, too. I remember him practicing his cast in the desert. All that space to flip the rod, snapping his arm out, the line singing out against the glare of the sun and down to the desert floor. The only one who may not have related on the same level was my mom, who liked a little more excitement, usually, than the desert; although she was calmer there, a little less nervous. Smoking cigarettes in the dry desert heat, her legs getting very brown in her shorts, and her lean arms always reaching, and doing. Evenings after dinner, in the Daylight Savings glow, Grandpa Cliff taught me how to shoot craps and pitch pennies. Sometimes we’d all play Black Jack at the kitchen table. My parents had a set of poker chips, flat primary colored chips with a glossy finish and serrated edges. They stacked neatly inside a Bakelite lazy Susan. I loved that thing, it seemed to be imbued with an adult consciousness — an object that required some indoctrination and education. The lantern would sputter and flicker as I learned strategy from my dad and grandfather. 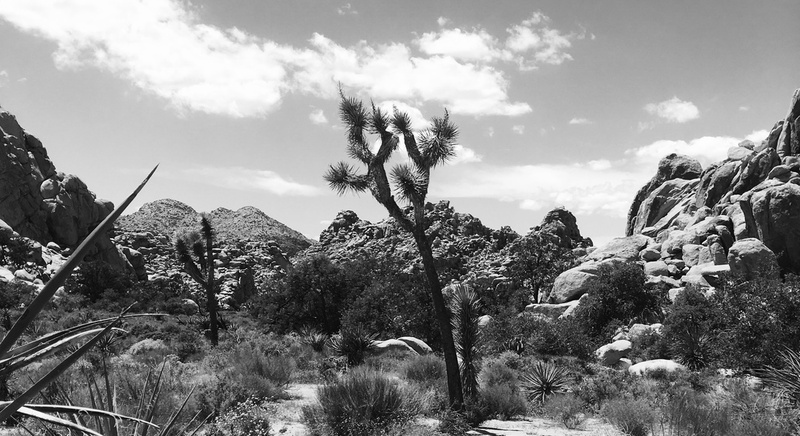 The folding of hands, the shuffling of cards, distant sounds of coyotes outside the aluminum walls of the trailer, as the desert waited outside the door, for the sun to rise, once again.